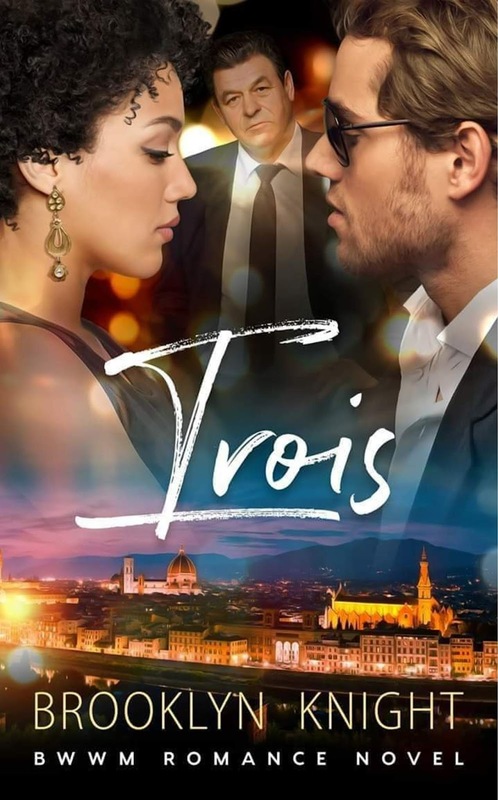 Trois is the exciting conclusion to Brooklyn Knight's The French Connection series; A BWWM, Multicultural & Interracial Romance. It is currently on sale now in eBook and paperback format. Dylan Hamilton has waited two years for this day to arrive; the day when Laila Renaud will become his wife. But the morning after his nuptials, he awakens, drugged and confused, only to discover that she has been snatched from his bed. And according to the man who has taken her, he has a limited amount of time to get her back. The clock is ticking... 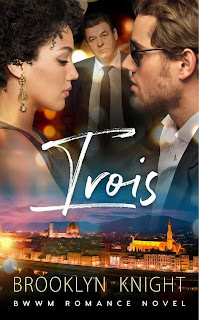 When Stefan Miller finds three Italian gangsters sitting in his suite the morning after Dylan’s wedding, it’s confirmation that his worst fears have come true. His brother’s antics have finally caught up with him and everyone else, including his love-interest, Sasha, who has been held ransom. Now with the clock counting down, he and Dylan must come up with a plan to save the women from impending doom. Theoretically, it’s a simple operation: Get Stefan's brother! Engage Dylan’s mob-boss of a mother! Save the girls! Stefan turned away from me and I listened for a second as he threw a slew of curse words into the cell phone receiver. I pinched the bridge of my nose, trying to practice my solution-focused mantra, the one I used every day at my firm. Brooklyn Knight is a romance enthusiast who lives in the island of Bermuda and has been writing stories since she was a little girl. Over the years, her gift for designing and bringing characters to life has evolved, and she enjoys creating vivid, memorable characters and unforgettable situations. 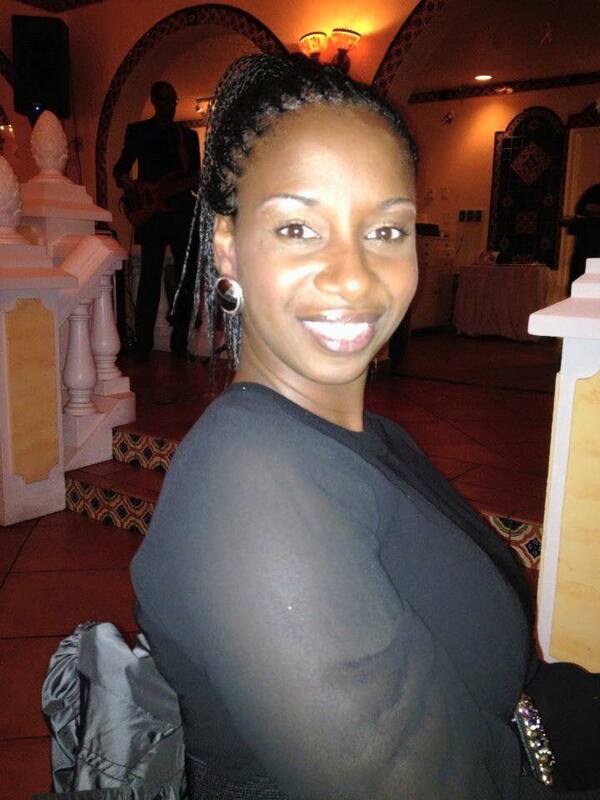 Her characters are thought-provoking and evocative, and they will draw emotion out of you like water from a well. Are You a Victim of Cyber Flashing?